The whole concept of Amateur Astrophotography can be both an intriguing and rewarding activity for the beginner as well as the serious astronomer. Of course under normal circumstances quality cameras. i.e. the more expensive ones will take the best pictures. However you will be surprised by the results you can get even from a webcam. Ulimately it will depend on the type of photography you wish to do that will determine the camera you use. If you have a camera already why not start with that. You can then decide to upgrade if the astro bug bites! To make sure you get the best possible image you can it is essential to use the right equipment. If you're going to use a 35mm camera you will require a shutter cable and and a robust equatorial telescope mount to help you track your object. The approriate “T” mount to help align the camera with the eyepiece holder, and a guider eyepiece to keep your object in the center of your frame. A little practice with the aperture and shutter speed will soon have you snapping away. You will most likely need to take a number of pictures then transfer them from your camera onto the computer. Sometimes they may come up grainy,so you can try reducing the size down by increments and you should soon have a bright clear picture. For Amateur Astrophotography most people will probably go for a digital camera, for convenience, ease of use, quality of images and the cost. I have a preference for the Canon DSLR but practically any DSLR camera will do the job nicely, but you will need to ensure you pick the correct adaptor for your camera. 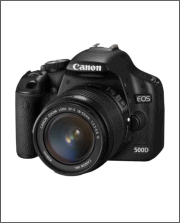 DSLRs have lenses which are removable and come in a wide variety of focal lengths. You have complete control over the aperture, shutter speeds and ISO. Lenses can be taken off and replaced with an adapter that enables them to be connected directly to the telescope where the telescope functions as the camera lens. 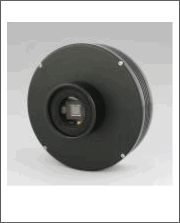 The digital camera is attached to the telescope focuser using the appropriate t-mount and t-ring. With ISO settings typically set to ISO 400, 800 or 1600, according to the object that is being photographed. More often than not the camera is controlled by software applications on a laptop, which allows for the camera to be focused accurately. Digital imaging software is a useful tool to enhance and modify images, allowing you to get them just as you want to. In contrast to conventional film cameras which can only capture around 2% of collected light, CCD cameras can collect up to 70%. which makes them incredibly efficient for astronomical applications. CCD cameras that are used in amateur astrophotography are likely to require a sturdy mount to handle vibrations from the wind, and the enormous weight of the imaging system. In order to take long exposures of galaxies and nebulae, a large number of amateur astronomers make use of a method referred to as auto-guiding. The vast majority of autoguiders use a second CCD chip to monitor deviations during imaging. There are a huge amount of CCD cameras on the market from inexpensive to really expensive, so you will do well to look at all your options before you make your final decision. Webcams are inexpensive when compared to color CCD or CMOS chips that are made to stream video across the internet. They work well for high resolution planetary imaging, but not so good for deep-sky imaging. There's no question that webcams used for amateur astrophotography have greatly improved the way in which images are taken of the night sky quite significantly. If you require a solid base for astrophotography Televue have a handy accessory known as 'Piggy Cam' which supplies a solid platform for a range of cameras, and although designed for Tele Vue telescopes, the U-shaped mounting bracket is easily adaptable to almost any scope. With bigger pixels, the 16IC-S can also cover a wider range of telescope focal lengths, making it a versatile camera. 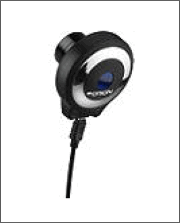 Drawing on all the advantages of this popular platform, this camera incorporates a Sony ICX205AL ExView 1392x1040 sensor with 4.65µm pixels. Resolution from the 4000 model is fine enough for printing at A4 or even A3 size. ATIK 11000The Atik large-format cameras have been designed and built to fulfil the needs of the most demanding users, whilst offering an unparalleled simplicity of use. A complete CCD solar system imager capable of producing high quality planetary images with greater light sensitivity and color fidelity than comparable CMOS imagers. With an F/10 system and 2x2 binning, The Nightscape gives you a large image scale while still providing sub-arc second image sampling; ideal for bringing out fine detail in planets and compact deep-sky objects. 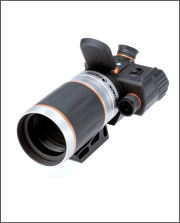 Capture the action closer than ever before with this 3MP digital camera spotting scope. Unique product, advanced features. It's true to say that even the most basic models on the market with an 18-55mm lens will have a large enough field of view to cover vast areas of our Galaxy and are capable of producing stunning images. 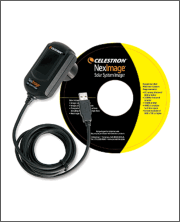 The Sky Imager is simple to use, lightweight, powerful and versatile, making it a great tool for astrophotography. The high performance Parsec is built around the CCD chip's square 5.4 micron x 5.4 micron pixel size for superior resolution. Take Incredible shots of the Sun, Moon and Planets with this 1.3-megapixel solar system camera from Orion. SynGuider is ideal for Digital Single Lens Reflex (DSLR) users, while saving you the trouble and need for a computer to control your imaging system. 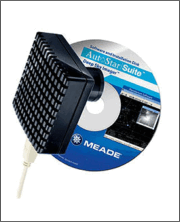 The perfect choice for both amateur and professional imaging.